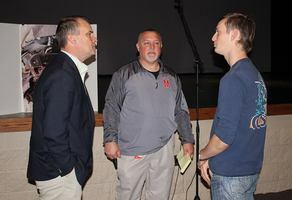 MAXWELL MEETS STUDENTS AT MHS! 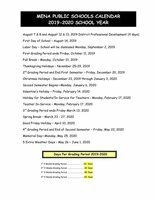 For your viewing and planning enjoyment, the 2019-2020 calendar for Mena Public Schools! 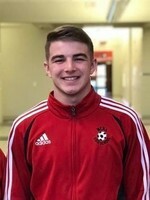 Mena High School is excited to announce that Junior Zane Stephens has been chosen to represent Mena in the Semper Fidelis All American Program in the Battles Won Academy in July in Washington, DC. 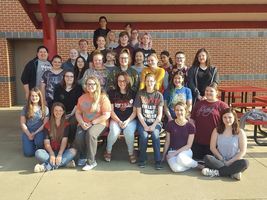 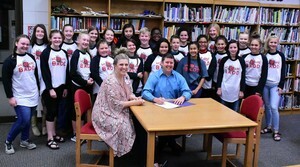 This is a prestigious honor for rising seniors and only about 100 students are chosen from across the country. 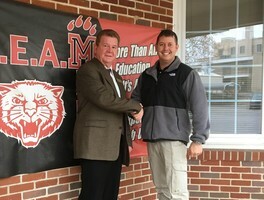 BAND ACCEPTS DONATION FROM THE UNION BANK OF MENA! 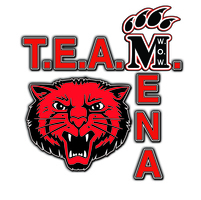 The Mena Public Schools & Superintendent Benny Weston would like to congratulate Mr. Seth Smith on being elected Mayor of the City of Mena... 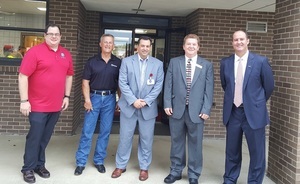 The district & city have partnered on many projects in the past & we look forward to our combined efforts benefiting our patrons & their children in the future. 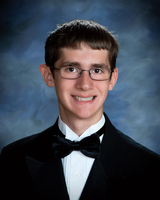 THOMPSON IS NATIONAL MERIT SEMI-FINALIST! 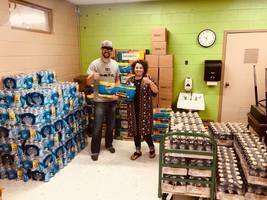 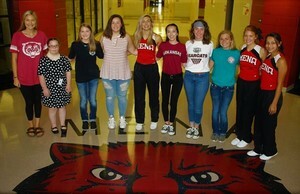 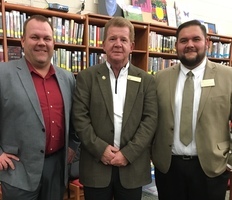 Mena Public Schools hosted the Arkansas School Board Association Regional Meeting on Thursday, November 1st... 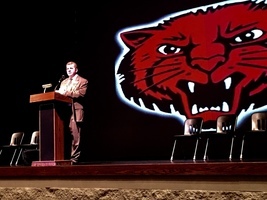 The theme was "Getting Ready for the 92nd General Assembly"
SCAM TARGETING Jr's & Sr's ! 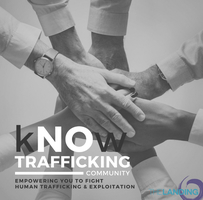 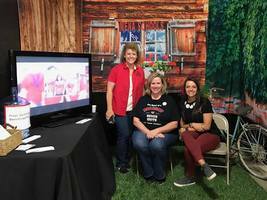 Mena School District hosting "kNOw Trafficking 2018”. 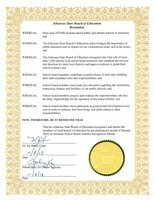 Governor Asa Hutchinson proclaims October 15TH-19TH as National School Lunch Week in Arkansas!! 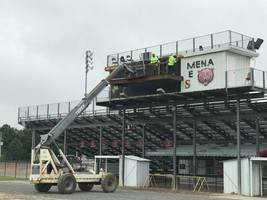 As renovations and upgrades to the Bearcat Stadium press box continue, crew members removed the back paneling this morning. 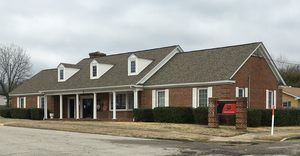 Bearcat Stadium opened during the 1988-89 school year, and for the past 30 years, the press box has kept the same appearance until this morning. 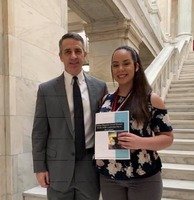 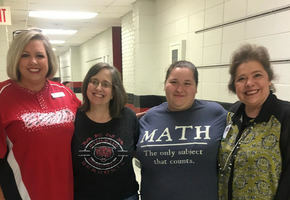 Congratulations to Krystal Boyd for passing her CS (Computer Science) Praxis exam. 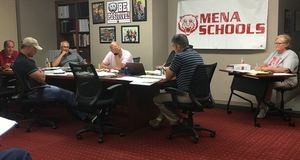 Mena High School will be offering Computer Science 1 & 2 for students in grades 9-12. 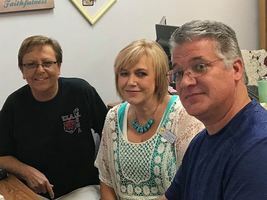 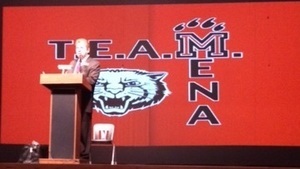 MENA SCHOOL EMPLOYEES ATTEND GENERAL MEETING. 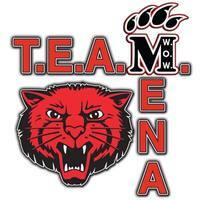 JOIN TEAM MENA! 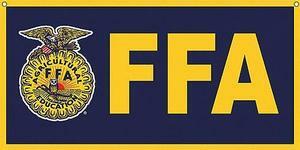 EMPLOYMENT OPPORTUNITY! 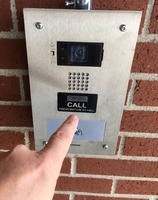 LiveSchool will have continuous feedback on your student. 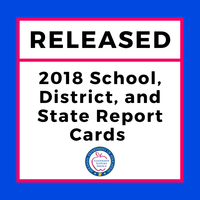 Students get their own app, too, showing them their feedback from all their classes, and updates on your school’s rewards system. 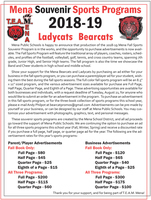 Look for more information at this week open house. 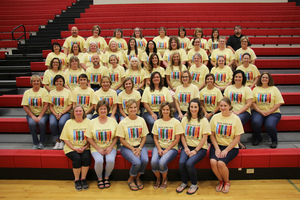 Let’s work together to track, reward, and improve behavior this school year! 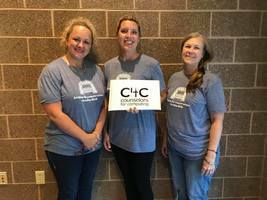 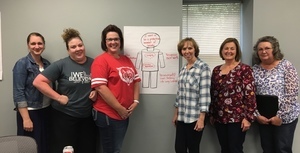 Mena Middle School Counselor Leilani Rose and Mena High School Counselors Tonya Thacker and Pam Gross are wrapping up a 3 day workshop Counselors for Computing in Duluth, Minnesota. 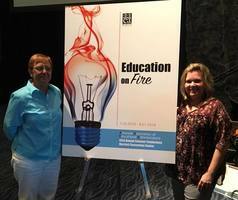 They are excited to get home and share all the great opportunities for Mena Students to explore! 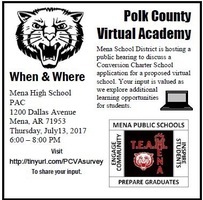 Jeanne Smith, Bonita Flint & Cliff Sherrer were bringing the Polk County Virtual Academy to fruition on Tuesday 7/24. 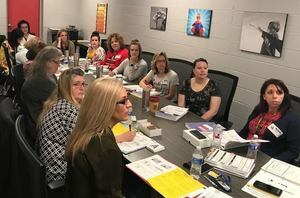 PCVA is built to meet individual needs & provide student choice in all aspects of learning... For information on openings now and in the future contact the director Jeanne Smith at 479-394-1710 or teacher David Hampton at 479-216-1102. 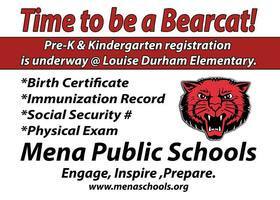 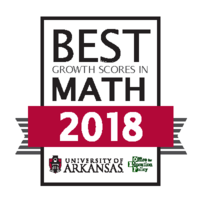 Mena Schools picked as "BEST"! 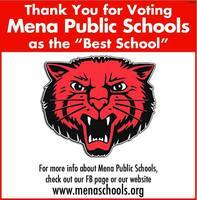 In a recent poll conducted by the Mena Star the Mena Public Schools were voted "Best School". 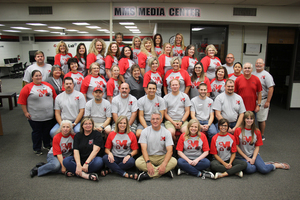 Our staff appreciates the recognition & will continue to work at making Mena the best. 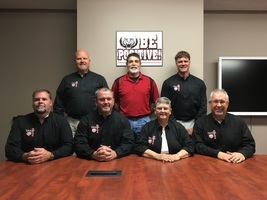 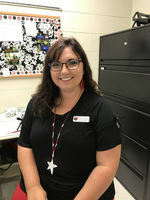 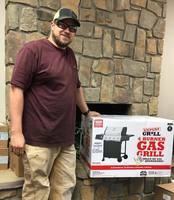 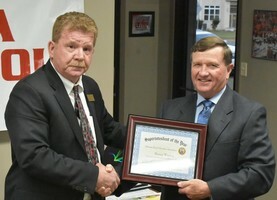 Mena Super Benny Weston will be serving the next two years as the President of the Arkansas Rural Education Association. 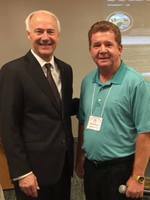 Recently Mr. Weston had the honor of speaking & introducing Governor Asa Hutchinson to the group. 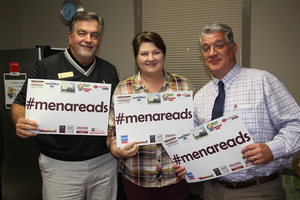 TEAM Mena administrators proud to support #menareads! 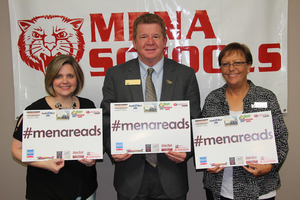 TEAM Mena administrators are proud supporters of the district-wide Literacy initiative #menareads. 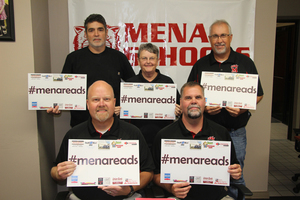 TEAM Mena is proud to support the district-wide literacy initiative #menareads. 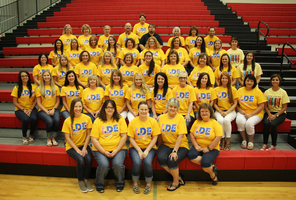 LD is ready for their HEROES! 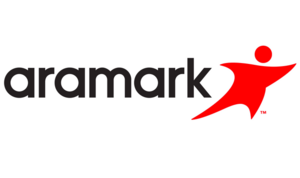 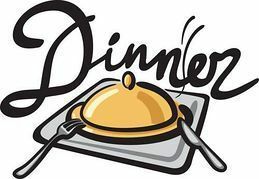 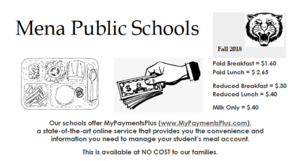 Updated information and application for free and reduced meal participants.Click here for updated free and reduced meal application and information. 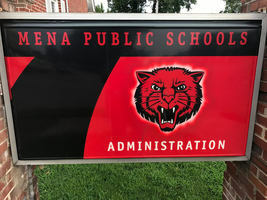 Mena Public Schools and Community Partners were on each campus to welcome back students on Monday, August 15th. 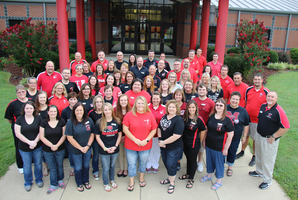 We believe positive relationships promote learning. 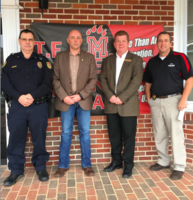 We appreciate each community partner who was able to encourage our students on their first day back. 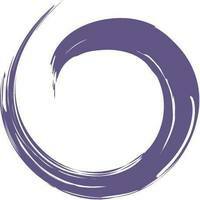 Together we can have a "Worth Over Work" year - W.O.W. 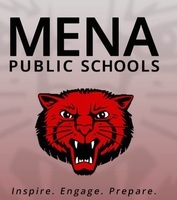 We are revealing our new Mena Public Schools website and app.Our web address is www.menaschools.org Download our new Mena Public Schools app today!